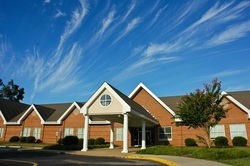 Summit Christian Academy is accredited by the Southern Association of Colleges and Schools (SACS). SACS is part of AdvancEd, the world’s largest educational community representing 15 million students, 3 million plus teachers and 27,000 public and private schools in 30 states and 65 countries. SACS Accreditation provides Summit with the following notable benefits. It allows for transferability of credits from Summit to other accredited schools. Secondly, it opens the door for important scholarship and granting opportunities. Many of these opportunities are only available to accredited schools. 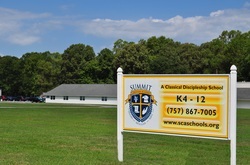 Finally, accreditation provides important third party confirmation that Summit Christian Academy is providing the service it claims it does. This is an important ingredient in an educational institution’s credibility. Summit also holds membership in the organizations listed below. Membership in these organizations keeps us informed of advances within classical and Christian education. They also provide us with opportunities for professional development, and link us with classical and Christian educators around the world.